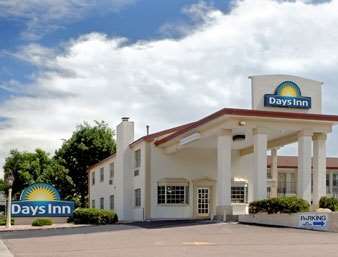 Welcome to the Days Inn Colorado Springs Central. Colorado Springs is home of Pikes Peak, which is the inspiration for the song America the Beautiful. Besides an incredible and inspiring view of the Peak, The Days Inn hotel is located close to a variety of entertainment and recreational activities. Microwaves and refrigerators are available in some rooms. Check with the hotel for details. Coffee makers, radio alarm clocks and dataports available in all rooms. Property offers fitness room, laundry room and outdoor heated pool. Pet friendly hotel.